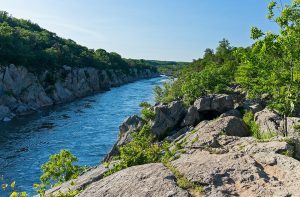 Maryland is a place that has long beckoned people to adventure, from the Appalachian Mountains in the west to sandy white beaches in the east. Maryland offers Adopting Parents the opportunity to complete their families through adoption and helps Birth Mothers facing an unplanned pregnancy. Here, we offer you our informational guide to help you through your adoption journey. As a woman facing an unplanned pregnancy and starting the adoption process in the state of Maryland, there are some important things for you to know. You must learn the laws, rules and qualifications of placing your baby for adoption. An Adoptive Parent can make an adoption plan anytime during the Birth Mother’s pregnancy or after birth of the child. In the state of Maryland, a Birth Parent can consent to placing the child for adoption after the child is born. In a Maryland adoption, a birth parent may abolish their consent within 30 days after signing the consent or 30 days after the adoption petition has been filed. After 30 days, consent is irrevocable. What Rights does the Birth Father have in Maryland Adoptions? Before an adoption can take place, there are specific laws, rules and qualifications in Maryland concerning who can adopt or how you can adopt. Laws, rules and qualifications will vary based on the type of adoption you choose to pursue. All Adopting Parents must meet these requirements to adopt in the state of Maryland. What are the Laws and Qualifications for Adopting a Child in Maryland? What Adoption Expenses can be Paid by Adoptive Families in Maryland? Individual states determine how much and what type of expenses are allowed to be paid to a prospective Birth Mother during her adoption process. Expenses related to adoption in Maryland depend on the type of adoption you decide to pursue. What are the Laws to become a Foster Parent in Maryland? What are the Requirements to Finalize an International Adoption in Maryland? An international adoption can be finalized in Maryland, but it is not required if the adopted child was adopted in compliance with the laws of his or her native country and if the child is issued a visa verifying the validity of the adoption.The child will be issued a new birth certificate through the state upon receipt of a foreign adoption decree, proof of the child’s birth date and place and a request from the court, the adoptive parents, or the adopted person if he or she is 18 or older. The certificate will be labeled “Certificate of Foreign Birth” and will include the adopted child’s country of birth, along with a statement indicating that the certificate is not evidence of U.S. citizenship. All adoptive parents in the state of Maryland are required to complete a home study and a post-placement assessment after the adoption has taken place; regardless of the type of adoption you’re pursuing or the adoption professional you’re working with. Both will assess your ability to provide a nurturing and stable home to a child. What is Included in the Maryland Home Study Process? Throughout the home study, proof of income, financial stability, and mental and physical capability to care for the child will also be considered as well. The process should be completed within 90 days, unless there are delays caused by crisis in the family. The Maryland home study includes the applicant and any other member who lives in the household that is at least 18 years old. The home study will be completed by the local department. On what Grounds will the Home Study not be Approved in Maryland? The director of the local department shall review the debatable rulings related to any adult in the household to determine the possible risk to a child’s safety. Based on the evidence, the local director may deny, suspend, or revoke adoptive home approval. What are the Post-Placement Requirements for Maryland? After a child has been placed into their adoptive home, grounds for withholding adoption will take place to oversee the transition and ensure the adoption is still in the child’s best interest. Any out of home placement of a child outside of Maryland is subject to the provisions of the Interstate Compact on the Placement of Children. Families who wish to adopt a foster child if guardianship is granted are considered legal risk adoptive homes. Placement in legal risk homes is made in an attempt to facilitate permanency for children whose goal is adoption. The requirements and home study process is identical for legal risk adoptive parents as it is for foster parents, with additional information about legal risk placement. Maryland is home to some amazing adoption agencies who are ready to help get you started on your journey. Whether it be adopting a child into your family, or finding resources to place your child up for adoption, these professionals are all willing and able to help you throughout this process. Between its small scale, rich history and well-regarded seafood scene, the Old Line state better known as Maryland is the perfect place for adopting parents and birth mothers to take a break from the adoption process!